With the incidence of the flu and other seasonal viruses increasing, the Rhode Island Department of Health (RIDOH) calls on Rhode Islanders to seek medical care in the most appropriate medical setting. “Emergency departments are perfect for emergency situations. If someone is experiencing a serious health issue, they should absolutely call 911 or go to an emergency department right away. However, emergency departments treat patients with the most serious health issues first, which means that people with less severe conditions may experience long waits,” said Director of Health Nicole Alexander-Scott, MD, MPH in a July 28th communique. 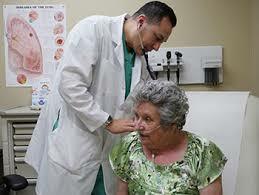 “Keep the phone number for your primary care provider handy and know where your nearest urgent care facility is. An urgent care facility, or other type of express care facility is often a more convenient, less expensive option,” she says. RIDOH notes that emergency warning signs of flu that call for a person going to the emergency room are “difficulty breathing or shortness of breath, pain or pressure in the chest and having flu-like symptoms that improve but then return with a fever and a worse cost.” A listing of those at high-risk for developing medical complications from the flu can be found at the Centers of Disease Control and Prevention’s website, www.cdc.gov/flu/about/disease/high_risk.htm. According to RIDOH, many illnesses and injuries including routine cases of the flu where the person is not a risk of developing flu-related complications from underlying medical conditions require an emergency room visit. Your primary care physician or an urgent care facility can easily treat less severe cases of the flu and specific health issues, including back pain, minor cuts, sore throats, low-grade fevers, even most cases of norovirus more effectively. The norovirus is a very contagious stomach illness that can cause severe vomiting or diarrhea for 24-28 hours, says RIDOH, noting that the very contagious virus is found in an infected person’s stool and vomit and be spread by eating food or drinking liquids or touching surfaces or objects contaminated with norovirus. RIDOH notes Rhode Islanders can take specific steps to keep healthy and safe from the flu, norovirus, and other viruses. Most important, get vaccinated against the flu. With flu’s season ending in spring, you still have time to get your shot. Always cough or sneeze in your elbow and wash your hands carefully with soap and water, specifically after using the toilet, changing diapers, before eating or preparing food. If you or your children are sick, don’t leave home, to keep others from getting sick. Stay at home if you are sick or keep your children at home from school. Finally, if you are infected by a norovirus, do not prepare meals until three days after your symptoms clear. For more information, call (401) 222-5960 or go to www.health.ri.gov.